My fantastically talented wife has been blogging for the last several months, and she’s built up quite an archive of funny and sad and interesting stories at Midwestern Robot. 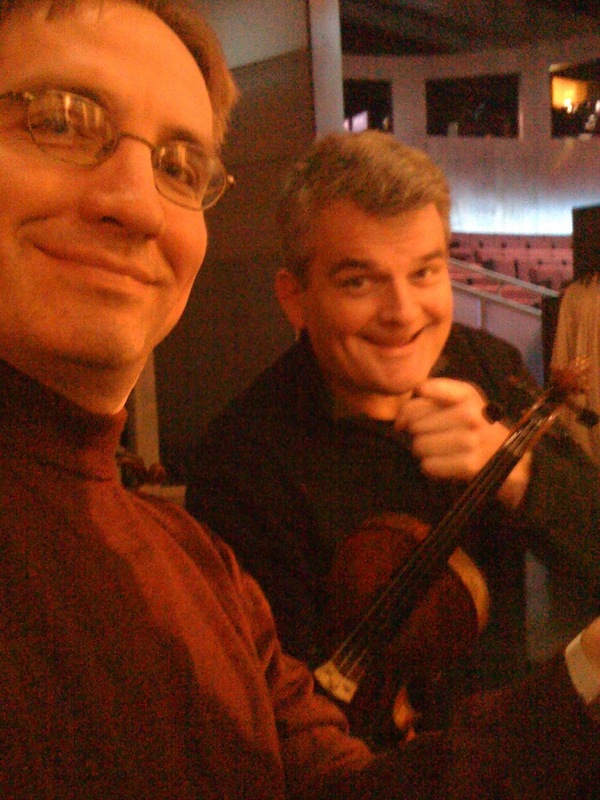 I had the fantastic pleasure of playing on Oprah last week along with 14 of my violinist compadres. 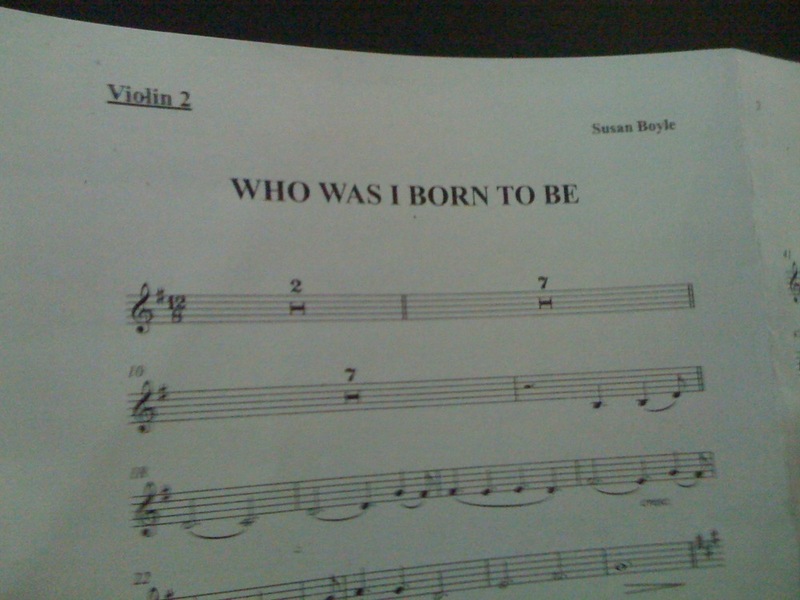 We were backing up Britain’s Got Talent phenom Susan Boyle in a song from her album. Watch it right here on Oprah’s site. Just look for the shaved head, second row, in the middle. We had a rehearsal on Tuesday the 12th, with just us and the choir. 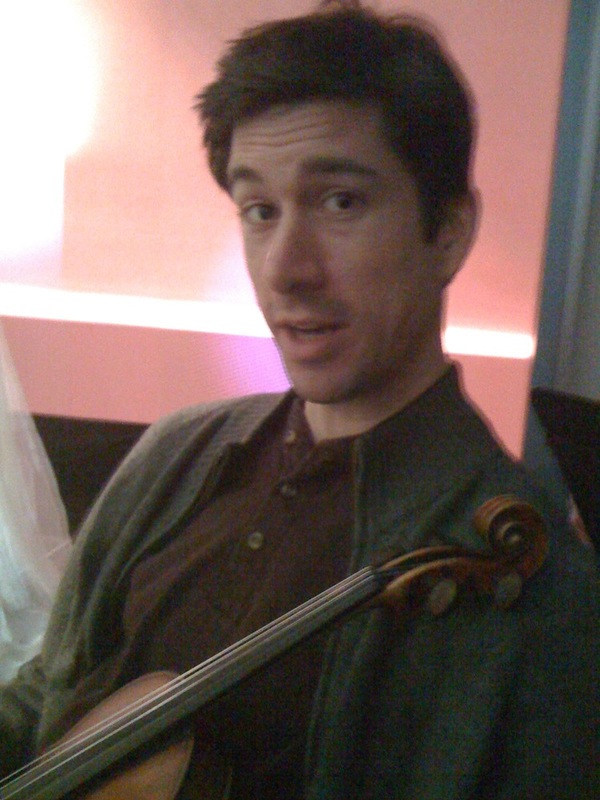 Then a short run-through with Boyle before we taped it on Wednesday the 13th. Boyle was very nice, but other than saying hello when she first arrived on stage, we didn’t have any interaction with her. Though she is really singing, the violins weren’t mic’d, so you’re actually hearing the track. That’s pretty common with this sort of thing, as it limits the possibility of mistakes. It also means they only had to tape the segment once. In a way, I’m surprised they didn’t tape it twice, just to have some coverage. A producer warmed up the audience beforehand and gave several women the opportunity to demonstrate their singing talents. I’m a sucker for people having their dreams fulfilled, so it was great to see that the show gives its audience a little taste of that. The producer also asked the audience a lot of questions, which I imagine is a way to find people who Oprah might want to chat with during the show. For me, though, the most amazing part of the show is also something you won’t see on the air: Oprah’s entrance. Bonkers. Not “throwing chairs, ripping off clothing, forswearing oxygen” bonkers, just pure adulation and love. Now, the studio seats maybe 150 at the most, so we’re not talking about a lot of people, but it sounds like a train passing overhead. And Oprah simply stands there, regally. After a bit, she moves through the audience shaking hands and hugging people and they’re crying and she just accepts it and laughs with them and they laugh with her. Eventually things calm down and it’s all about the show, but she really takes the time to let her audience have that moment with her. Cool. 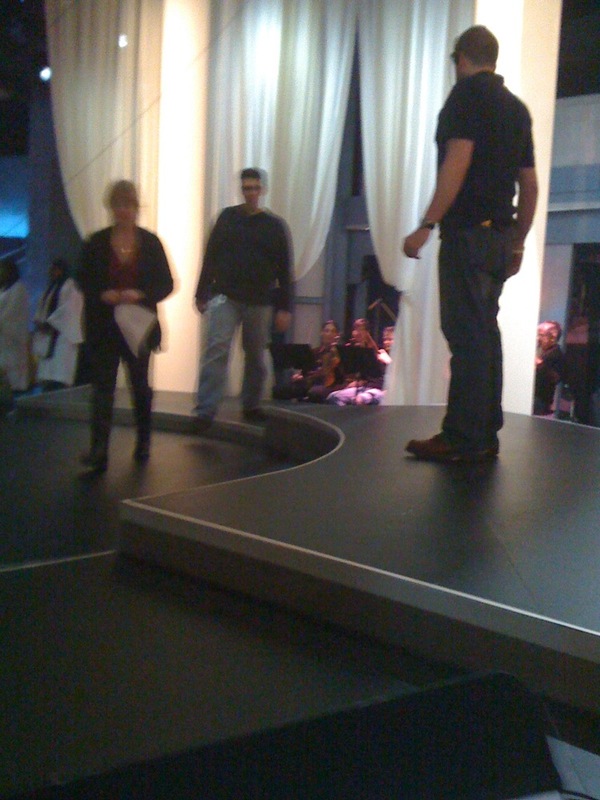 Oprah talked to a couple audience members while Boyle came on stage and waited behind the “chiffon reveals” (what the crew called the curtains). I wondered what it was like for Boyle to hear the audience talking about how their lives had been changed by her story. And I thought back to last spring when MT made me watch The YouTube video (dammit what an amazing moment). And I thought about how a year ago, no one had heard of Susan Boyle, and now here she is on one of the most popular television shows in the world. I’m mighty cynical about shows like American Idol and Britain’s Got Talent. For the most part, it’s pure exploitation. And to be sure, Boyle is being exploited right this very minute. But her story manages to surpass it. She forces all of us to confront our prejudice and fear, and she gives inspiration to countless dreamers. Right. So, Oprah introduced Susan Boyle and we performed and the platform on which we sat moved up and down and there was a lot of glitter which remains stuck in my shoes. Then Oprah came up on stage and said “thanks guys” and we were gone. I couldn’t snag photos of the taping since our phones/cameras were confiscated when we entered the building. But I did manage to take a few grainy shots during rehearsal the day before. My thanks to Arnie Roth and everyone at AWR Music for the gig! If you live in New York, or happen to find yourself there next week, then go to LaMaMa‘s La Galleria on Wed, Feb 18th. My wife’s play Infernal, will be read, along with several other new works. More info at Playbill. I’ve had the pleasure of watching Infernal get better and better over the last several months, and I’m extremely proud of the great work MT has done. If you can’t make the 18th, then go the 19th and see our friend Carlo Matos’ Amalia’s Magic Mirror, because MT will be reading in it. And because it’s a great play. MT and I are back from beautiful Scotland, where we got married on June 30th. Would you like to see some photos?